HSA is Certified by the FAA to commercially fly Unmanned Aerial Systems and employs a Pilot with a Part 107 License. The use of UAS/ Drones allows HSA to perform unique Data Collection Tasks and the potential for many other applications such as RCI. The UAS/Drone Aerial imagery gives HSA an opportunity to view real-world conditions. The software shown here allows technicians to manually count traffic data at speeds faster than real time. HSA also uses Automated Vehicle and Pedestrian Detection Software with these in-house built camera systems. HSA uses video monitoring systems to collect vehicle, pedestrian, and bicycle data. The video monitoring systems allow HSA to collect data without impacting the participants within the study. The technology used with these video systems allows HSA to perform automated vehicle and pedestrian detection. DMI's do the behind-the-scenes work of our RAC distance measuring instruments. These sensors read and modify the data coming from our vehicles and send a signal to the RAC telling it when to count distance. HSA Consulting Group is a Small Business Entity founded in 1990 by Gay H. Smith. HSA experienced steady and constant growth over the first twenty years and even greater rates of growth over the past few years. In May of 2018, President/Owner and Industry Pioneer Gay H. Smith passed away, leaving HSA Consulting Group to her successors, Racheal G. Smith and Cameron H. Smith. As the new owners, Racheal and Cameron still adhere to the guiding principles that have brought success to the company: High Standards, Technology Driven, Employee Empowerment, and a Family Atmosphere. HSA continues to live by the philosophy that our size and structure allow us to quickly turn and adapt to dynamic conditions. It is always apparent to our clients that the confidence and enthusiasm of HSA employees leads to innovative ideas and a can-do attitude. In short, HSA gets the job done right and always strives to exceed expectations. ”Why choose HSA? We are a transportation consulting firm providing an extensive range of services including: Transportation Planning, Traffic Engineering and Operations, FDOT Design, GIS/Photogrammetry, Vehicle and Pedestrian Data Collection, and Transportation Software Development. 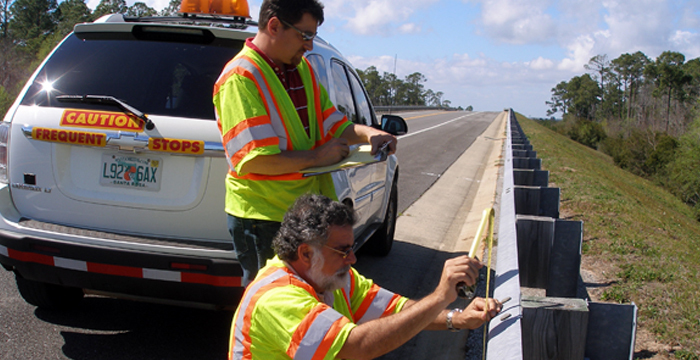 HSA is fully Pre-Qualified with FDOT in Planning, Traffic Engineering, Traffic Signal Timing, Intelligent Transportation Systems, Signing and Pavement Marking, Lighting and Signalization Analysis and Design, and has been providing services as a Prime Consultant to FDOT for the past 28 Years. Our corporate size, structure, and office locations allow us to quickly deploy, implement, and adapt to changing conditions. This engenders a feeling among HSA Staff that we can get the job done no matter what it takes. This corporate culture sets us apart from other firms that struggle with corporate management layers and multiple decision makers. Our clients detect our confidence and enthusiasm and believe in our ability and drive.